Homework Checklist for Middle School or High School. 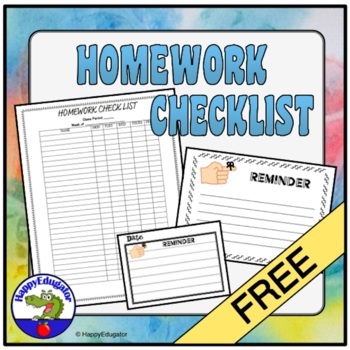 FREE Use this form to check off homework as it is completed daily. 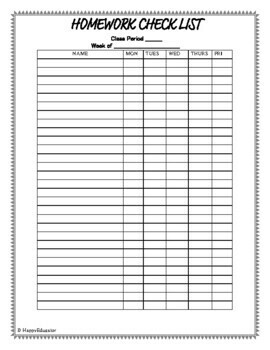 Just write in the names of your students and your class period at the top, and put it on a clipboard. Easy way to keep track of student compliance, and a great timesaver for classroom organization. 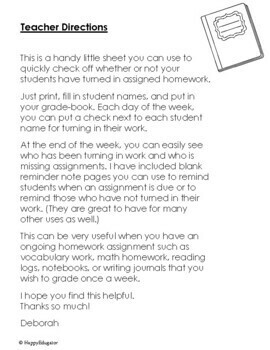 You can keep track of homework due Monday through Friday. •	Look for the green star near the top of any page within my store and click it to become a follower.